It’s pretty amazing that after four years of reading visual novels and having exhausted most of those currently translated to English that I can still encounter titles that are unlike anything I have read before. Sekien no Inganock features a relatively unique story, setting and art style that very quickly caught my attention, and though my interest waned markedly as the narrative progressed for a number of reasons I can confidently say that I don’t regret the time I put into it. Let down by some poorly considered plot devices and pacing issues, Sekien no Inganock is still a title that may be worth taking a look at if it sounds like your cup of tea. Ten years ago the self-sufficient city of Inganock suffered The Revival, a calamity that resulted in it being cut off from the outside world. Overnight an impenetrable mist engulfed it, the populace began to mutate into a variety of weird and wonderful new shapes, and creatures with devastating power were unleashed. Gii is a Cracking Doctor, a man who travels the impoverished lower tiers of the city illegally healing the sick with his powerful Phenomenon Equation, rewriting their bodies’ sickness and replacing it with health. His existence is an emotionless one until he encounters Kia, a polite young girl who appears to have no connection to the city whatsoever. As the two continue Gii’s endless work, they will encounter many of the secrets behind what happened to Inganock all those years ago. The two, together, with the clown that dances ever on the edge of one’s vision. That summary accurately reflects my current feelings regarding Sekien no Inganock. It has some great world-building with some enjoyable characterisation, along with a healthy scoop of “…huh?”. There’s a lot to love about the setting especially, with the VN constantly offering up new tidbits revealing what has brought the city of Inganock to where it is today; the tier system, the plethora of mutations afflicting its citizens, the strange management scheme that no one really seems to understand or question and, of course, the Phenomenon Equation. When it came down to it, even when it got to the point where I didn’t actually feel like reading any more (and I’ll go into that more later) I still needed to continue to find out what the hell was going on behind the scenes. From the wonderfully mutated populace to the feeling radiated by the city itself, I was fatally interested in Sekien no Inganock’s setting, which was superb. The characters themselves are also very enjoyable, breaking free of any and all of the tropes you may be used to in the medium and generally being very endearing. Given all of that praise, I suppose you’re wondering what went wrong. To provide a complete answer I need to admit that part of me isn’t entirely sure while at the same time I am able to identify a number of features that I didn’t enjoy. Amidst all of the enthralling world-building I mentioned earlier there are a number of weak points. While the plot itself is straight-forward the revelations it provides about the city’s past aren’t, and while that isn’t a problem in itself (I actually had fun piecing together a timeline, for once) I do take issue with the fact that once you do sort everything out there are still a number of questions with answers that don’t really make sense, even within the context of the visual novel. Additionally, the pace at which new information is presented is horribly skewed. During each chapter there’s a portion where you can hear the “inner voices” of the characters involved (it’s an interesting feature, though I’d advise using a walkthrough), resulting in information dumps that aren’t necessarily related to the story at hand. Conversely, the chapter format itself can become somewhat tedious as well, as many of the events and characters featuring in each are superfluous and don’t contribute to moving the plot forward, with the net effect that progress can seem frustratingly slow. I’ve reserved a special paragraph (read: circle of hell) for the way the climax of each chapter is resolved because I need to highlight some exceptionally lazy writing. In twelve chapters the method with which the opponent flavour of the day is defeated does not change. I could very easily reproduce the text used for each “boss” by substituting creature and attack names into a template, and reading through that kind of writing got boring very quickly. I mean, you can actually just skip through each route’s token battle (even the final one!) and miss a grand total of nothing. The protagonist is never hurt and he always defeats his foes in one strike, and Sekien no Inganock simply expects you to accept that. That kind of attempt to sweep a lack of explanation under the carpet happens a number of times throughout the novel, the worst of which involving [minor spoiler] the death of a character that I was unable to take seriously because Inganock refused to give any real justification for their passing [/minor spoiler]. Sekien no Inganock’s art style is distinctive and very enjoyable. The quality isn’t exceptional in itself but each character sprite has a lot of…well, character, that meshes well with the overall atmosphere of the VN. Several side-characters are presented in a line-art style that is also novel and contributes positively to the experience. The backgrounds are a little drab, though that’s only because of necessity. I’ve seen a number of people praising Inganock’s OST but, personally, I can’t say any of the tracks stuck with me. The voice acting was as good as I have come to expect from visual novels, with several voices that fit their characters particularly well. Summary – Sekien no Inganock features a setting and cast with a lot of potential. The city’s present and past promise an immense amount of entertainment due to the sheer level of depth behind them. 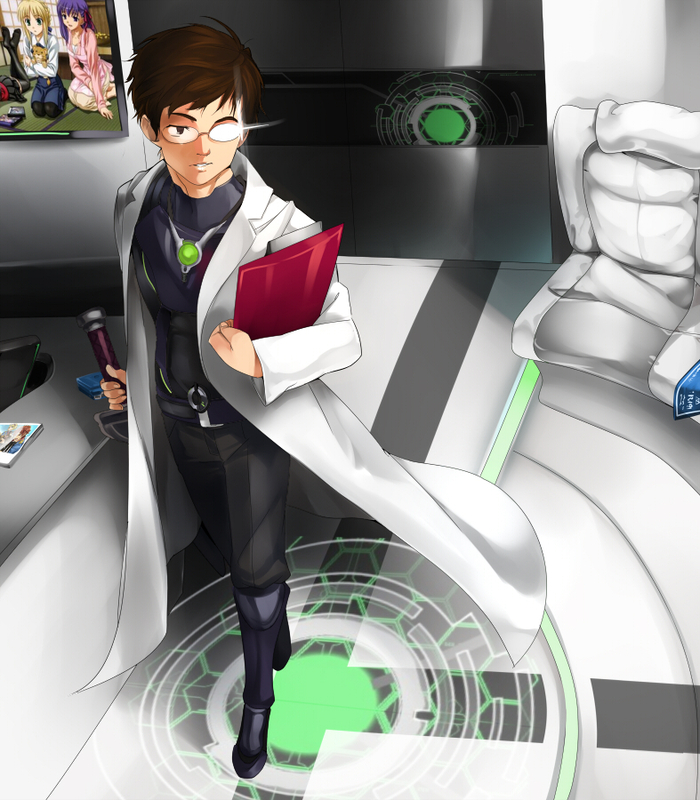 The visual novel’s art style is unique to Liar-soft and contributes positively to the atmosphere Inganock tries to cultivate. However, in line with the developer’s track record for producing more “abstract” works, this visual novels fails to adequately back up its “whos” and “whats” with “whys” and “hows”, and that mixed with a large volume of extraneous content makes for a slow and muddled experience. I don’t regret my time with Sekien no Inganock, but I can’t see myself returning to it ever again. Ignanock was definitely an interesting VN, I enjoyed my time with it but yeah, it has it’s fair share of issues. Good read! As one of the comments on your review states, the translation may not do the story justice and I wonder how much of an impact that had on our enjoyment. It seems almost impossible to localize the style of some authors. Did you ever pick up any of the other Liar Soft titles? Not a problem! I’ve played a little Forest and decided it wasn’t for me. I haven’t actually heard of Sona-Nyl but Gahkthun may well make it onto my list at some point. Sona-Nyl was one of the recent Mangagamer localization pickups (Last august) so there’s not too much info about it, but the game looks interesting. The VNDB score is pretty high also so that’s why I’m gonna give it a shot when it comes out. No clue if it’s actually any good but will definitely write something up about it XD. In terms of translated Visual Novels on the whole, probably the most unique of the unique out there. It does many strange things that you didn’t even think would be possible in the medium.